One of the very first brands that I started purchasing back in the day was Clean and Clear. A few months back, I went back to it when I tried out their range of Morning Energy Facewash (which I am still using by the way!). 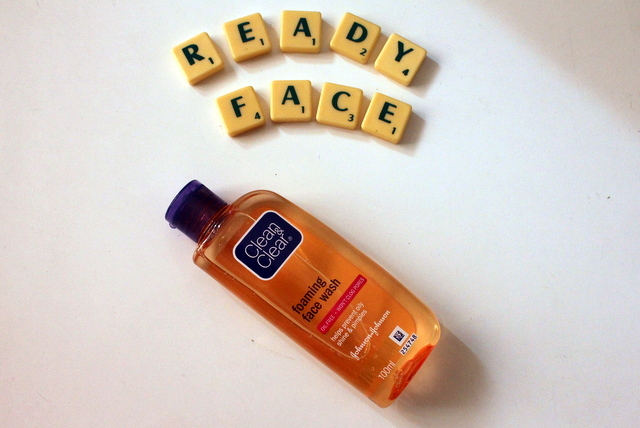 Since I had a great experience and I really loved how they were working for my skin type, I decided to try out their Foaming Face Wash as well for the #ReadyFace challenge. I have had the most troublesome skin for most part of my life. It’s too oily in summers and too dry and patchy in the winters. Every day I look in the mirror, I am quick to point out yet another flaw in my face. Anxiety and low self esteem were my constant companions during my teenage years. Although with time you grow up and learn to love yourself, there are many young girls out there who are becoming more and more conscious & judgmental about their looks. Feeling that you aren’t good looking, feeling that you cannot step out of the house without makeup, constantly worrying about your looks – these can mess with your mental and physical health and hamper your daily activities. So how do you empower these young girls? How do you instill that confidence in them that they don’t need to ‘measure up’ to anyone’s standard of beauty, but their own. Keeping this in mind Clean & Clear launched the ReadyFace campaign, to take back the mirror. To look at yourself and feel happy, comfortable and secure with what you saw in the mirror. Smile at yourself, tell yourself you are gorgeous, that you are perfect the way you are, that you are strong, brave and kind! And that’s what you need to feel beautiful on the inside and take on everyday challenges. Following a good beauty routine to keep your skin clean and oil-free is a must as well, and that’s the second thing that Clean & Clear aims for with its Foaming Face Wash. First off, I love the packaging of all of Clean and Clear products. Very straightforward and simple, fuss free packaging that is easy to carry around everywhere. Second thing that I love is that most of their products have a citrus aroma, which by now you know is my absolute favorite! Not only does it feel soothing on the skin, but the gentle fragrance never fails to calm my mind as well. I am very sensitive to smells and I dislike strong fragrances in all beauty products. The aroma of the foaming face wash doesn’t linger strong but leaves your face with a refreshing and soothing scent. Every time I use a face wash, my biggest concern is the break out control issue. 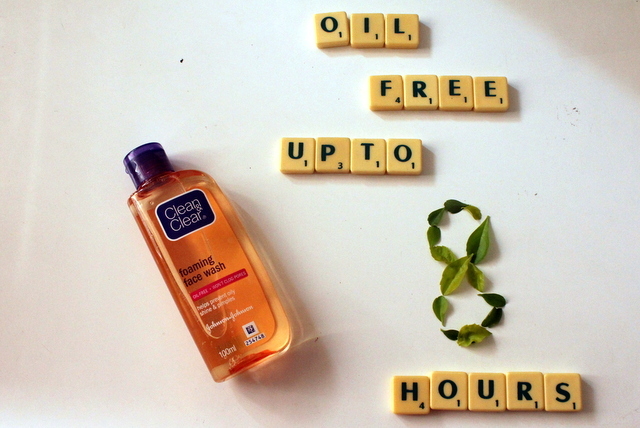 With its ability to control the oil emitted by my skin for a huge chunk of the day, the oil-free Foaming Facial wash from Clean & Clear brought the bang back to my beauty routine. It keeps the oiliness off my skin under check for up to 8 hours! That’s a whole 8 hours of oil-free skin, no blotting papers necessary. Going one step further, it also prevents pimples from cropping up. Although if you have dry skin in winters like me, this makes it even more dry, so using a toner and moisturizer after this is a must to keep your skin smooth & soft. Not a huge deal breaker considering that’s the routine I follow anyway. Bottom line is that the next time you face the mirror, it doesn’t have to be intimidating. All you need is to be yourself, recognize that you are perfect the way you are, and take on the world with your #ReadyFace!